What Is Preeclampsia, & What Does It Mean for Your Pregnancy? 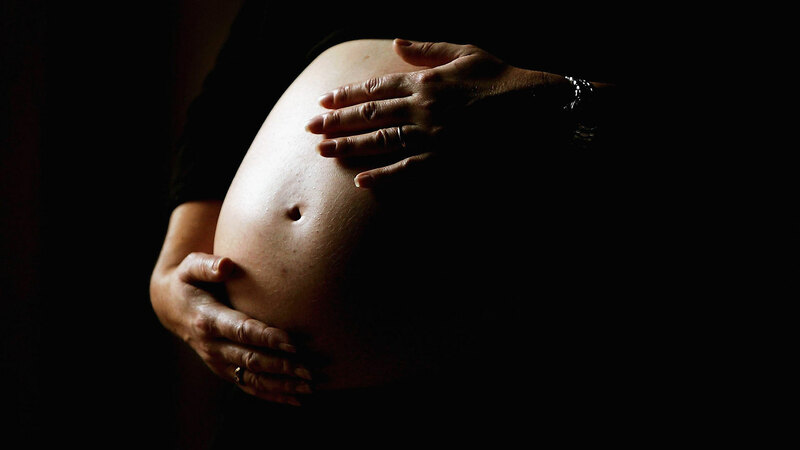 Health conditions top the list of concerns for many pregnant women. With so many changes happening to your body, it’s difficult to know what’s normal and what’s not. And while some medical issues that occur during pregnancy are mild, others, like preeclampsia (also known as toxemia), are more serious and need intermediate intervention from your health care provider. When a woman experiences elevated blood pressure during pregnancy, she is said to have preeclampsia. A serious blood disorder that is usually diagnosed after week 20, preeclampsia can affect all of the organs in a woman’s body. According to Dr. Daniel Roshan, an OB-GYN, the blood pressure is considered elevated when it goes above 140/90. In addition to an elevated blood pressure reading, women can also experience proteinuria, or an abnormal amount of protein in the urine. 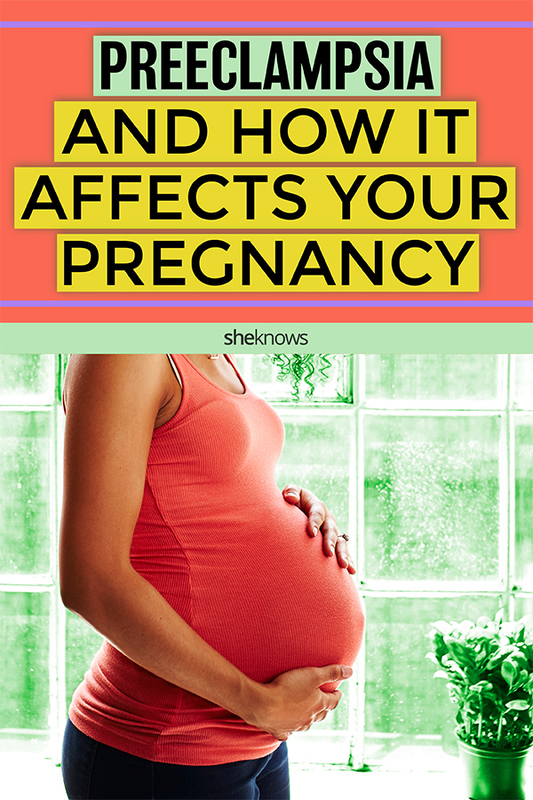 More: What's the Difference Between Braxton Hicks & Regular Labor Contractions? Your health care provider will check your blood pressure and urine levels and may conduct other tests at each prenatal checkup to show if you have preeclampsia. But in order to receive timely medical care for preeclampsia, it’s important you know what signs and symptoms to look for. In addition to high/elevated blood pressure and protein in the urine, the American College of Obstetricians and Gynecologists says women should be on the lookout for any swelling of the hands and face or a headache that doesn’t go away. They also list seeing spots or changes in eyesight, pain in the upper abdomen or shoulder, nausea and vomiting (in the second half of pregnancy), sudden weight gain and difficulty breathing as signs and symptoms of this disorder. More: Are There Any Health Benefits From Lotus Births? And while most women will experience mild to moderate preeclampsia, one study did find the rates of severe preeclampsia are steadily increasing. This is cause for concern since “preeclampsia can worsen and cause seizures (a condition called eclampsia),” explains Dr. Patrice Harold, director of minimally invasive gynecology at Detroit Medical Center’s Hutzel Women’s Hospital. “No one knows exactly what causes preeclampsia,” says Roshan. However, there are many theories. “It seems to be a disease of the placenta since the nutrients are not going to the baby, so the body increases the blood pressure to increase the supply,” explains Roshan. He also says it is often seen in patients who have in utero growth restriction and abnormal placenta flow. What does preeclampsia mean for your pregnancy? “If a mother is preterm, it may be necessary to deliver early or be admitted to the hospital for management and supervision until delivery,” explains Harold. Roshan says preeclampsia can be from mild to severe in range, and in mild cases, the patient should be delivered by 37 weeks. In severe cases, the patient should be delivered based on maternal-fetal medicine recommendation or at 34 weeks. Treatment of preeclampsia often involves bed rest, observation and delivery. Harold says delivering the baby is the best form of treatment. She also explains that it can be managed prior to delivery with antihypertensive medications and magnesium sulfate for seizure prophylaxis. More: Which At-Home Fertility Tests Are Worth It? Is preeclampsia an issue after birth? While many conditions related to pregnancy seem to subside after the baby is born, preeclampsia can continue to be a risk in the postpartum period and beyond. That’s why it is suggested that blood pressure is monitored for at least 72 hours postpartum and again seven to 10 days after delivery or earlier in women with symptoms. The ACOG says women who have had preeclampsia have an increased risk later in life of cardiovascular disease and kidney disease, including heart attack, stroke and high blood pressure. And whether you had preeclampsia or not, it's best to monitor your blood pressure anyway, because it's an important indicator of your health.